Participants represented the wide range of advanced energy businesses established across the state including solar, wind, electric vehicles, grid software, combined heat and power, and energy efficiency. They discussed the growing impact of their businesses in Ohio where more than 105,000 people work in advanced energy, compared to coal that only employs a few thousand. 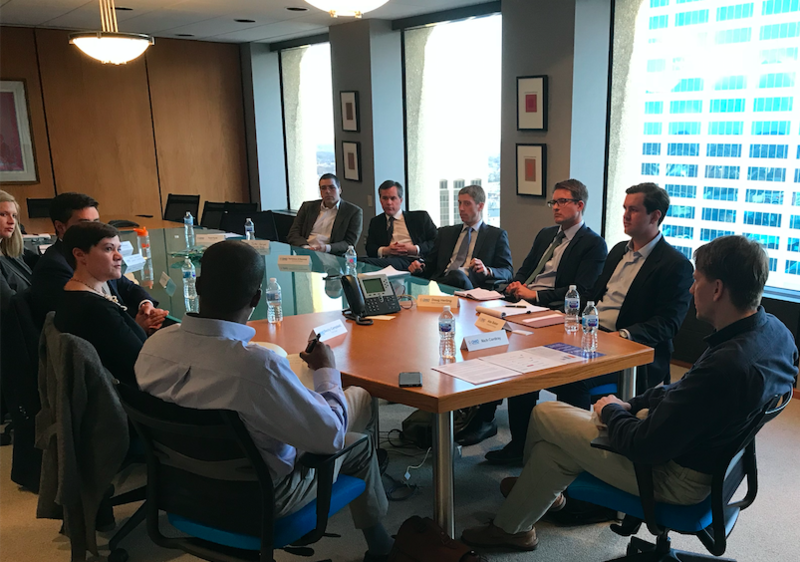 The group discussed the energy policy landscape in Ohio and its impact on clean energy and the economy, including detrimental challenges like wind setback rules that impeded projects, and some efforts to pull back on renewable and energy efficiency goals. After hearing from the broad ranging companies represented, Cordray observed that clean energy has a positive “multiplier effect” — that the benefits don’t just add up, they multiply. We couldn’t agree more based on the exponential growth and impact we’ve seen across Ohio and the rest of the United States, where advanced energy is a $200 billion industry, as large as pharmaceutical manufacturing, and employs more than 3 million domestic workers.